Why do you work with ADHD? Stand up, stand up, stand up! They called him names. Lots of them, pretty much every day right back since he could remember. They said he was careless, disorganised, clumsy, naughty, lazy, a disruption, that he didn’t seem to learn from his actions. He felt bad inside most days. Nothing he ever did seemed right, even though he really did try. The boys in his class were in many ways worse than the teachers. They would tease and try to push him to the ground. He would punch them back – hard where it hurt – only to be caught and sent home for 3 days or longer. The adults told him “You should have told a teacher”. They would tell him “You don’t think before you act”. Often time, he really struggled to focus on the teacher and her scribblings on the chalk board. Instead, distracted, he would stare longingly out of the classroom window, slipping into a private world where his imagination ran wild. Of course, it was during these moments that the teacher would disrupt his day dream and summon him back to reality with her scolding voice: Nathan, I am talking to you, will you pay attention! As a neuroscientist, specialising in clinical research with individuals with ADHD, I understand perhaps more than most that these early developmental experiences are both characteristic and typical of ADD and ADHD. The Attention Deficit component manifests as cognitive disorganisation and internal restlessness. Distractions, although only momentarily, are repetitive and endless creating chaos in the young person’s life. Children and adults are both affected and in varying ways, according to the different diagnostic sub-type. Those with combined ADHD have a different, but perhaps more intense struggle, trying to deal with both impulsive actions and endless energy. You’ll see this child in the playground, climbing trees, jumping over walls and running in all directions. He’ll be the one to ignore a command to come back. You may speak to him and he will appear not to be listening even though he is. He is the child that often parents don’t want at their kid’s birthday party for fear he may throw a temper tantrum or some other embarrassing act. On a first meeting, you might be deceived, the symptoms are not always immediately apparent, but place this child in a classroom and within hours, he will stand out, I assure you. The Diagnostic and Statistical Manual of Mental Disorders, Volume 1 and the International Classification of Diseases opened a world of diagnostic “differences” in 1952 and their contents have been evolving ever since. In the not too distant future however, I am hopeful a paradigm shift may occur enabling us to move away from categories of “disease” and “disorders”. It is time to reframe these learning and behavioural differences in an affirming and more positive light. For example, people with ADHD often have this unique ability to hyper-focus. To shut out the outside world and focus intensely on the task or activity in hand. Britain’s intelligence agencies cottoned onto the fact that some individuals with dyslexia are remarkable code breakers, being able to recognise patterns that others simply wouldn’t be able to. Neurodiverse individuals are known for their creative and innovative approach and so it seems the pendulum swings. In the clinical literature, neurodiversities originate as a result of subtle differences occurring during development in the wiring and structure of the brain which can give rise to alterations in cognitive and emotional functions. These differences can then impact behaviour and frequently result in a label and diagnoses of sorts according to a symptom checklist. Often these learning and behavioural differences are most obvious in the mainstream education system where compliance is commanded and zero tolerance applied to fidgeting, tapping, and other impulsive, restless behaviours. Children with neurodiversities including ADHD are often not well-suited for mainstream education and despite great potential are often failed educationally. This is a great disservice to them and their families. Furthermore, statistically these children are exposed to countless and repetitive exclusions for behavioural symptoms directly or indirectly linked to their diagnoses. Being on the receiving end of persistent negative attention, inappropriate labels and social exclusion crush their often creative spirit and sensitive nature. An alternative option, which is extremely popular and controversial here in the United States, is the medicating of these children with psychostimulant drugs. Some schools, in fact, will give parents an ultimatum – medicate your child or find another. This intolerance of “difference” and the medicalisation of child behaviour go against The National Institute of Clinical Excellence (also known as NICE) and the National Institutes of Health recommendations that behavioural interventions should be offered first. In the U.K. and indeed most of Europe, the prescribing of pharmacological interventions for ADHD in children is considered only in chronic cases and when all other interventions have been exhausted. Presently, a diagnosis of ADHD is synonymous with medication. But, there are other factors that warrant addressing. Food intolerances are just one. Some of the characteristic behaviours observed in ADHD are similar to those found in children presenting with allergies to food dyes, preservatives and gluten or they may indicate the presence of celiac disease. The nutritional neurosciences and field of biochemistry have informed us that junk foods as found in the standard American diet (SAD) coupled with nutritional poverty alter brain chemistry. There is a plethora of artificial chemicals and additives in the U.S. processed food supply which are not regulated by the FDA and some are in fact banned in Europe. Eating a junk food diet, devoid of any nourishment but rich in pro-inflammatory omega-6 from soy bean oil, sodium, concoctions of chemical food “stuffs” and high-fructose corn syrup may elicit symptoms mirroring ADHD but may in fact be the result of nutrient insufficiencies. A child’s developing brain needs brain-selective fuel rich in minerals, vitamins and essential fats such as omega-3 which work synergistically to optimise function and enhance cell-signalling between its 100 billion neurons across neuronal networks. The effects of children’s diet and its relationship with obesity are currently addressed by policy makers from the neck down. To overlook the effects of a junk food diet on the brain is a fundamental mistake. SIT STILL! STOP FIDGETING! DON’T BLURT OUT THE ANSWERS! PUT YOUR HAND UP! All of these appear to be reasonable commands and of course they are – if you don’t have ADHD. These behaviours are in fact symptomatic of the difficulties that children with ADHD face and struggle to regulate on a daily basis. They are by no means deliberate behaviours designed to annoy their peers and teachers. It is no wonder that so many children with ADHD are categorised further as “oppositional” and “defiant”. I like to argue that no sane or reasonable person would ever command a child in a wheelchair to “Stand up, Stand up, Stand up!”. 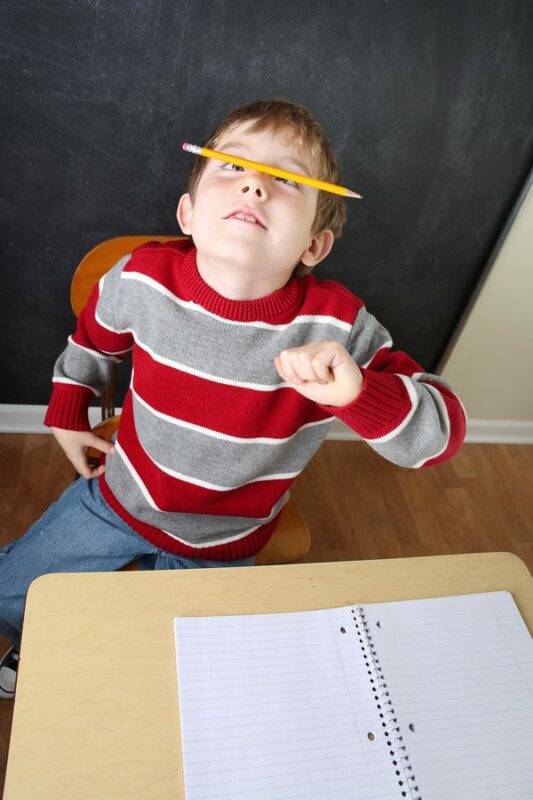 Yet children with less visible impairments affecting the brain including ADHD continue to receive the short straw. Evidence from numerous neuroimaging studies have qualitatively demonstrated that these specific impairments (which at times are chronic) derive from alterations in fronto-striatal, fronto-parieto-temporal, fronto-cerebellar and fronto-limbic brain regions and networks. Thankfully, the role of neuroscience in understanding neurodiversities has been revealing and enlightening to those in the field but my question is how do we take these neuroscientific findings, interpret them and then apply them into a classroom. Surely research should be ecologically valid and serve as an informative and translational vehicle of change – otherwise what then is the point? When a child is given a label of “special educational needs” by a clinician a whole new world opens. Almost instantly, an entirely new language needs to be acquired – the language of disabilities and individual educational plans. There are few directional sign-posts and navigation comes without the use of a compass. But, aside from the semantics, often parents find themselves on a type of emotional rollercoaster interchanging between hope and despair. I like to take comfort and remind myself and others that special children are given to special parents. A belief I subscribe to when taking off my scientific hat. The experience is life-changing and in spite of all the challenges thrown at these parents, most learn the language, they cope and become their own educators. So when inquisitive people ask me “What makes you work in the field of ADHD?” I pause because there are many reasons but the catalyst or critical driving force is undoubtedly a personal one. Namely, my own son’s diagnosis of ADHD which took me out of my career comfort-zone, and threw me into a decade of study and the academic realm of research, and cognitive neuroscience. We began this road together and it is a journey we still travel.